Coca-Cola and Sainsbury’s are among early adopters of the Carbon Trust’s new standard targeting companies wishing to address water waste. 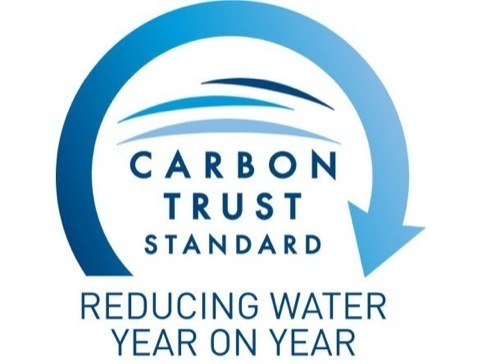 A logo for the Carbon Trust Water Standard scheme has been designed in-house by the Carbon Trust’s marketing team and will be used by businesses as a badge honouring compliance for measuring, managing and reducing water use. Businesses are expected to apply the symbol broadly rather then use it for particular products and services, or on packaging. Hambly says, ‘The methodology for the water standard does not cover water use and inputs through the supply chain of a specific product or service, therefore there will be restrictions around using the Water Standard logo on packaging. The Carbon Trust, which says the water standard is the world’s first international award for water reduction, sees water as ‘the new frontier in the battle against climate change and the devastating impact of the depleting of resources’. Freshwater need exceeding availability by 2030 and increased cost to businesses have been raised as reasons for compliance by the Carbon Trust. Looks rather like three logos cobbled together in search of an idea. It is very clear what this logo is trying to say. very good work.